Aletris Farinosa is a slow growing perennial in the Lily family. 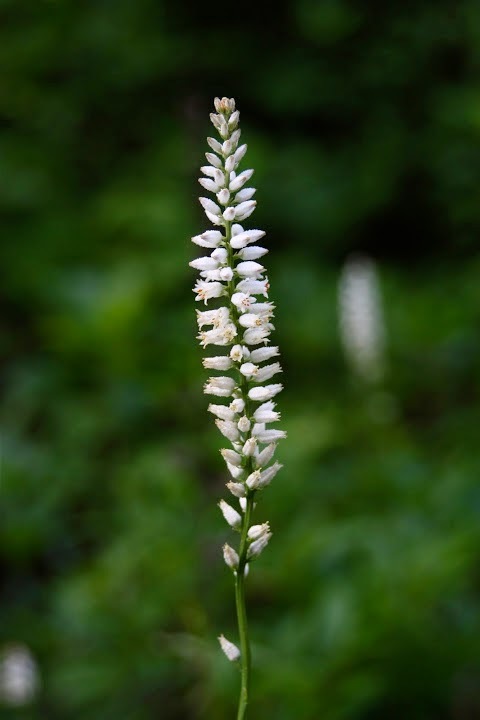 Also known as True Unicorn Root, it grows wild in bottom land, moist soil; and full sun to part shade, such as the edge of wooded areas in Eastern United States. The herb known commonly as the colic root is a perennial plant. This herb reaches a height of about one to three feet and bears a single stalk which lies axially in the center of a rosette of pale green leaves which resemble the leaves of a lily -each leaf of the plant is about two to seven inches in length. 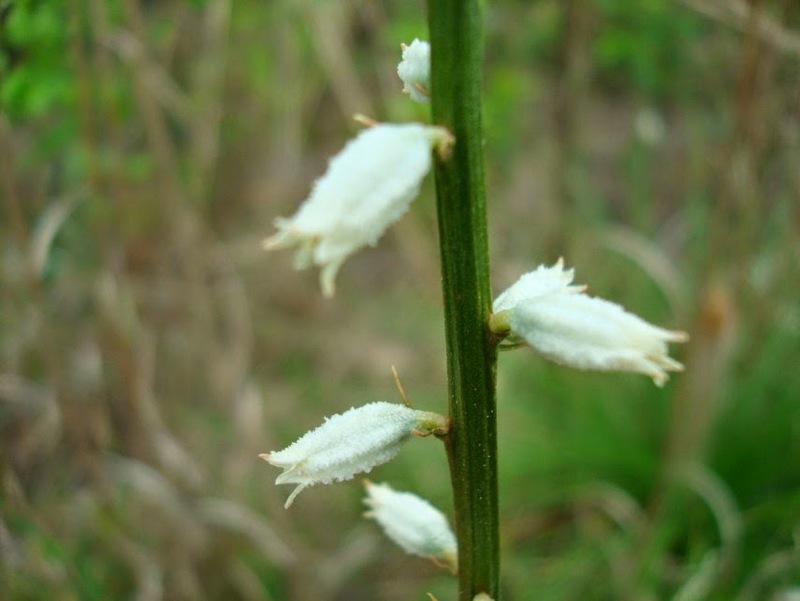 In the months of May through August, the plant also bears a lot of tiny white urn-shaped flowers, each may be a quarter to half an inch in length, and this may together form a spike running side by side of the upper region of the bare stalk. Many seeds are typically found in the fruits, borne inside leathery egg shaped capsules following the floral bloom. The colic root itself is actually derived from the rhizome or false root, which is the underground stem of the plant - this is the part of the plant which is used in herbal medication for the preparation of various remedies. Today, people use aletris for digestion problems including colic, constipation, diarrhea, gas, and upset stomach. They also use it for joint and muscle pain (rheumatism), muscle spasms, fluid retention, and infertility. Some people use it as a general tonic or as a sedative to promote relaxation. The Colic Root (Aletris Farinosa) is native to the eastern region of the United States and the Native Americans were first peoples to experiment with the colic root as an herbal remedy - they used it in a variety of traditional herbal remedies. The native Americans used the colic root based remedies in the treatment of stomachaches, to treat digestive colic, in the treatment of dysentery, and to treat all kinds of menstrual disorders, the roots of the plant were also used in the preparation of a bitter tasting herbal tea - which was made from the roots or the leaves and drunk by patients. A related remedy called the false unicorn root which is also used in herbal medicine must not be confused with the colic root. As a herbal remedy, problems such as a sluggish digestion can be effectively corrected using the colic root alone. Such sluggishness in the digestive process typically leads to other disorders like dyspepsia, abdominal flatulence and debility in the individual; prompt treatment using the colic root will preclude all these disorders and enable the person to quickly regain digestive functions. Problems such as anorexia - or long term appetite loss are often relived using the colic root as its bitter nature revives and increases the effectiveness of the digestive process in the affected individual. As a mark of its effectiveness and value in the treatment of digestive colic, the colic root is often known by another name, and called the true unicorn root. The colic root is also sometimes called a nervine, due to the fact that most of the disorders which are treatable through it use have an underlying nervous system involvement. As a treatment for nervous disorders such as anxiety, the value of the herb is not based on directly effecting nerve relaxation, but rather on easing the physical aspects of the condition - for this reason, its action as a nervine is disputed by some. Though the false unicorn root is to be preferred in the treatment of a threatened miscarriage in women, there is some evidence that the colic root may also be of some value in this regard. As Europeans settled in the continent, colonist in the Appalachian region adopted some of these herbal uses of the colic root, in addition, they made a few of their own uses for the herb in homemade remedies. To relieve aches in the back and for sore breast, these early colonist used to apply an herbal poultice made from the leaves of the colic root. The pain in the body was reduced in some cases by drinking a very potent drink made from the dried and powdered colic root along with whiskey or strong brandy. Pregnancy and breast-feeding: Colic Root (Aletris Farinosa) is ossibly unsafe if you are pregnant. It might act like the hormone estrogen, and that could affect the pregnancy. It’s best to avoid using colic root if you are pregnant or breast-feeding. Hormone-sensitive conditions such as breast cancer, uterine cancer, ovarian cancer, endometriosis, or uterine fibroids: Colic root might act like estrogen. If you have any condition that might be made worse by exposure to estrogen, do not use colic root.